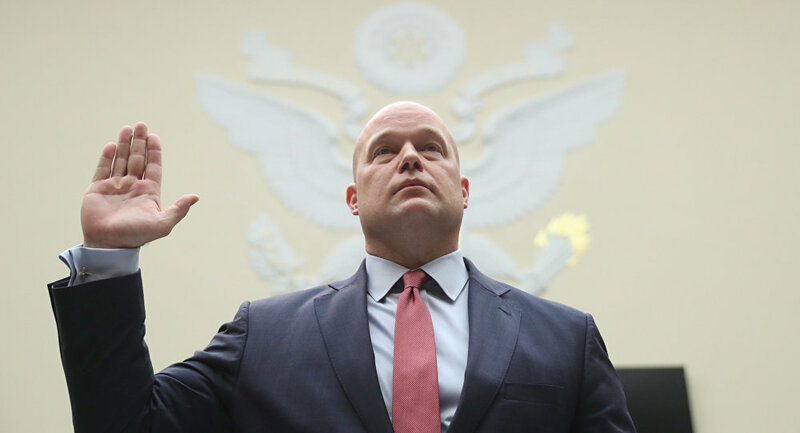 "There has been no change in the overall management of the Special Counsel investigation", Whitaker said on Friday in his prepared written testimony to the House Judiciary Committee. "I have and will continue to manage this investigation in a manner that is consistent with the governing regulations". Addressing the Mueller probe, the acting attorney general stated that he had never interfered with the investigation in any way. Whitaker also told members of Congress he has not spoken with President Donald Trump about the ongoing Russia investigation. "I have not talk to the president of the United States about the Special Counsel investigation", he stressed. Judiciary Committee Chairman Jerry Nadler also asked Whitaker to return before the panel in the coming weeks for a deposition to answer questions regarding Special Counsel Robert Mueller’s ongoing investigation. "After today’s hearing, we will attempt to reach an accommodation with the [Justice Department] to obtain answers to these questions. As part of this process, I ask for your commitment to return for a deposition before this committee in the coming weeks, under oath, and with the understanding that the transcript will be released to the public as soon as practical thereafter", Nadler told Whitaker during Friday’s testimony. Nadler explained that any questions that remain unanswered after today’s hearing or questions that require consultation with the White House will be asked again during the deposition. Mueller has been investigating claims that Russia meddled in the 2016 US presidential election, as well as allegations of collusion between Trump's campaign team and Moscow. Russia has repeatedly denied interfering in the election, saying the allegations were made up to excuse the defeat of Trump's campaign opponent as well as deflect public attention from actual instances of electoral fraud and corruption, while Trump has called Mueller's probe a "witch hunt." Democratic Congressmen Elijah Cummings, Jerrold Nadler, Frank Pallone, and Adam Schiff detailed their findings in a letter published along with the documents early on Friday, just hours before Whitaker was due to testify before the House Judiciary Committee. "We have obtained new documents showing that you failed to return thousands of dollars that were supposed to be distributed to the victims of World Patent Marketing's alleged fraud", the lawmakers wrote in their letter to Whitaker. Whitaker sat on the board at World Patent Marketing, a now-closed company that the Federal Trade Commission has said bilked its customers out of millions of dollars. The company never admitted any wrong-doing, but in a settlement with the FTC, it agreed to pay more than $25 million in penalties. According to the FTC, World Patent Marketing operated an "invention-promotion scam" that used bogus "success stories" to lure customers into paying the company thousands of dollars to patent their ideas. But after the customers were strung along for months or sometimes years, the company never delivered what it promised, and threatened people who complained about criminal prosecution, the FTC has said. Documents published by the lawmakers on the House Oversight Committee website on Friday show that Whitaker was paid $9,375 by the company. In their letter to Whitaker, the lawmakers said the FTC asked him to repay the $9,375 so that it could be returned to customers as part of the action to resolve the fraud dispute. The congressmen added that they learned from the FTC that Whitaker never responded to the request to return the money. They demanded that Whitaker hand over all documents related to the case, as well as other matters that they are investigating, by February 21, 2019. "If you fail to produce these documents, we will be forced to consider alternative means to obtain compliance", they wrote.